HOLIDAY SPOILER ALERT: Because this item normally ships in its original packaging, it may be visible upon delivery. We apologize for any inconvenience this may cause. 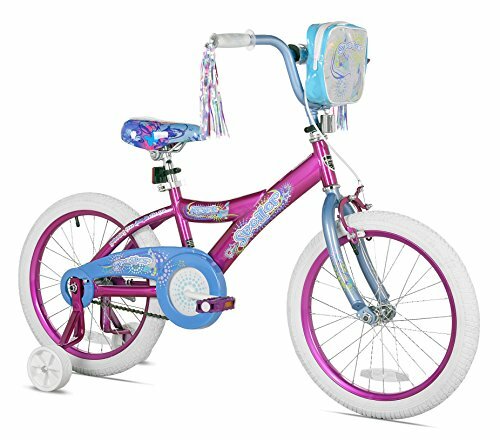 The 18" Girls' Spoiler bike from Kent International is the perfect size for a child that's too big for a 16", but not quite ready for the big 20". The Spoiler has a strong steel frame and fork, 32 spoke wheels, easy-to-reach handlebar with cross bar, and a secure handlebar stem. The comfortable padded seat is easily raised and lowered using no tools with the handy quick-release lever.